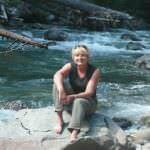 A rumpled landscape of fertile river valleys surrounds these friendly communities south of Eugene. 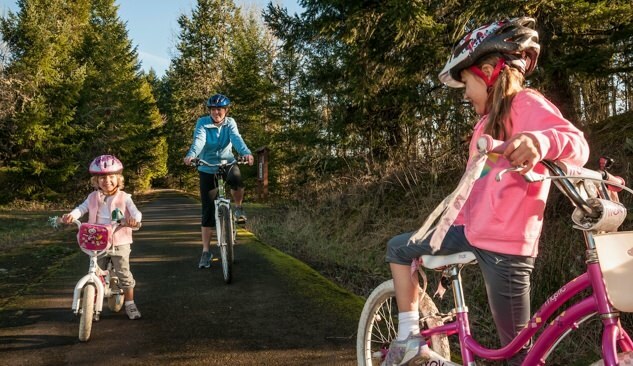 Creswell and Cottage Grove provide a welcoming base for exploring the region’s winding back roads, which lead to scenic farm country, wineries, recreation areas and Lane County’s utterly charming collection of covered bridges. Creswell: A backdrop of lush green lands defines Creswell. It’s home to a thriving farmers market of local produce (held Tuesdays, May through October) and the acclaimed Creswell Bakery, which uses fresh, local ingredients including beef from grass-fed cows down the road. The Coast Fork Willamette River flows north past Creswell, along the fairways of Emerald Valley Golf & Resort. The picturesque public course has hosted several U.S. Open and U.S. Amateur qualifier tournaments and is home to the University of Oregon Ducks golf team. Hill Creek, a tributary of the Willamette, flows through Garden Lake Park, a relaxing spot for paddling and birding. Wines and Woolly Critters: From Creswell, set out west on Camas Swale Road to the famed Willamette Valley wine country. 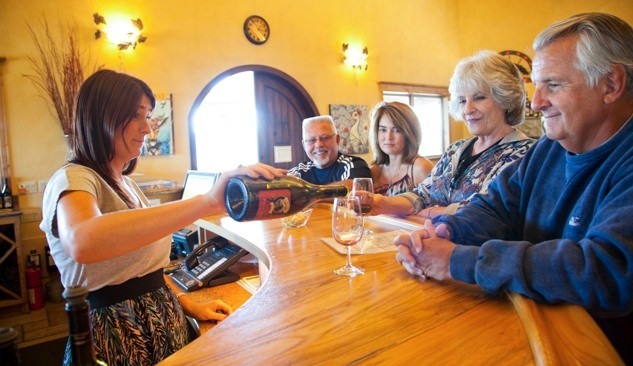 When you reach the Territorial Highway, swing north to visit a trio of wineries — Iris Vineyards, Sweet Cheeks Winery & Vineyard and Silvan Ridge Winery — each with lovely tasting rooms and outdoor decks that celebrate the rural setting. Circle back toward Creswell to Aragon Alpacas. The sweet-natured, adorable llama relatives at this family farm produce a hypoallergenic fleece as soft and luxurious as cashmere. You can discover more wineries by heading south on the Territorial Highway, too. More than 300 acres of organic vineyards — and another 30 acres of organic vegetable gardens and orchards — surround King Estate Winery, renowned for its pinot gris, pinot noir and excellent on-site restaurant. Cottage Grove: In their day, covered bridges were utilitarian structures, built to help bridges withstand the elements. But it’s hard not to be smitten with these souvenirs of the past, and Cottage Grove makes it easy to experience them. The 20-mile Cottage Grove Covered Bridge Tour Route leads past six bridges, two of them right in town. (Local citizens saved the 1925 Chambers Bridge in 2011; believed to be the last covered railroad bridge remaining west of the Mississippi, it’s now open for bikes and pedestrians.) Cyclists get their own route, too, the Covered Bridges Scenic Bikeway. Much of it runs along the Row River National Recreation Trail, a 16-mile, car-free paved path that begins in Cottage Grove. Extend Your Stay: Step out of your room at the Village Green Resort into 14 acres of gardens, and amenities like its own theater. The contemporary Lily of the Field B&B sits on 1,200 acres near Lake Dorena, with mountain views and easy access to hiking, cycling and other outdoor pursuits.